Erica has been selling Real Estate since 1997 and specializes in Chicago and Northwest Suburbs. We moved out of the area and Erica made everything so easy. She has tons of experience and if you are looking for a friendly, professional, knowledgable realtor who is there for you and ready to get the job done, call Erica, you won't be disappointed! Thanks Erica! 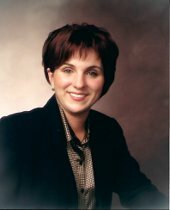 Erica McClain is a most outstanding and experienced "realtor among many realtors". With her incredible skills, ingenuity and social media acumen, Erica not only listed my property for rent but it was rented within the first week of lusting!! Her attention to detail was amazing and nothing short of miraculous. If you desire a "seasoned" realtor with dynamic advertising agility culminating in successful results, then Erica is your resource of choice! You will not be disappointed. Erica had an excellent knowledge of the area of the property and I believe she was able to get us a fair price. She also took care of all aspects of the sale including inspections, providing attorneys, and dealing with the title.She also was very responsive to my questions and she was always reachable.